Nautical decor underwater photograph of coral reef scene I encountered while diving on Silver Reef near Grand Bahama Island. 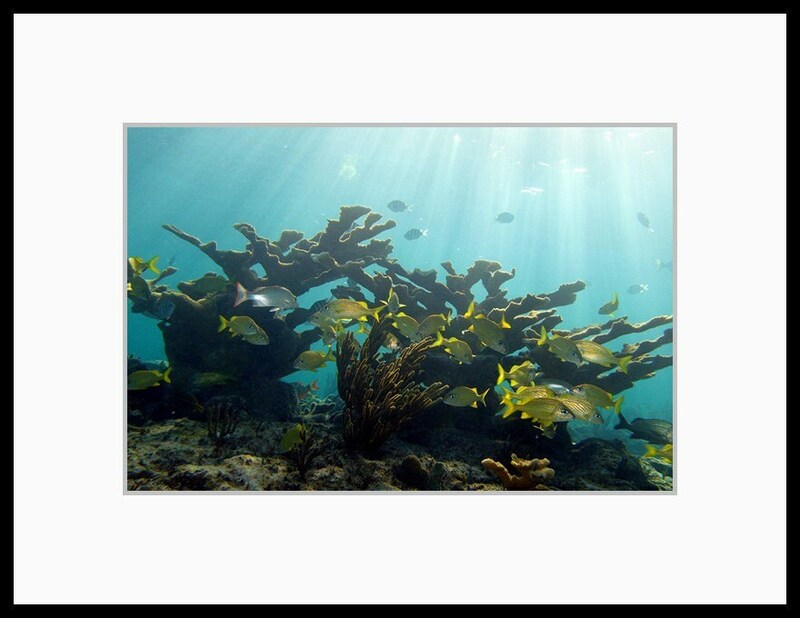 This very shallow coral reef is teeming with fish and bathed in shimmering sunlight. 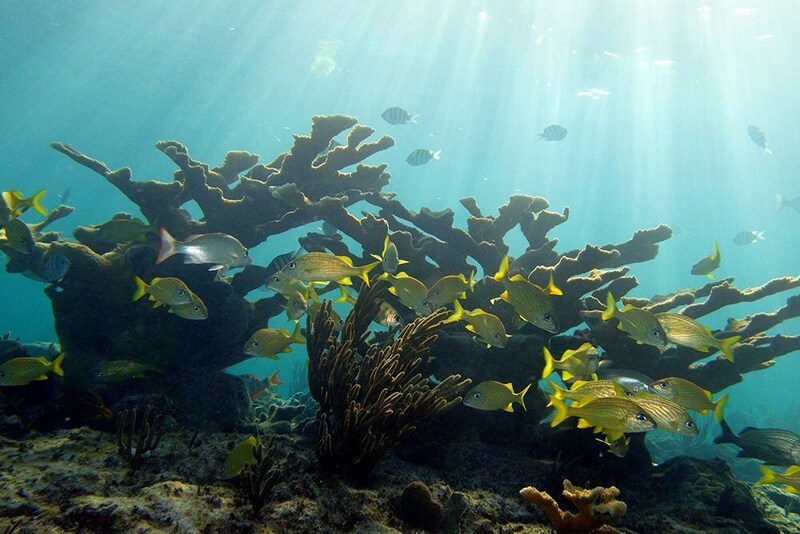 Several different types of reef fish can be found in this photograph as you look at it more.